Unfortunately one fellow Monster didn’t make it to Free version of CUSTOM HORROR: Monster Museum. It looks like we have to leave Essem out of our colorful iPhone monster gang. She is still available on the web and will remain naked! With CUSTOM HORROR you get monster suprise every day! We have submitted our latest iPhone app “iKnow Dogs” to Apple AppStore and are waiting for an approval! iKnow Dogs is an easy-to-use dog breed reference guide. 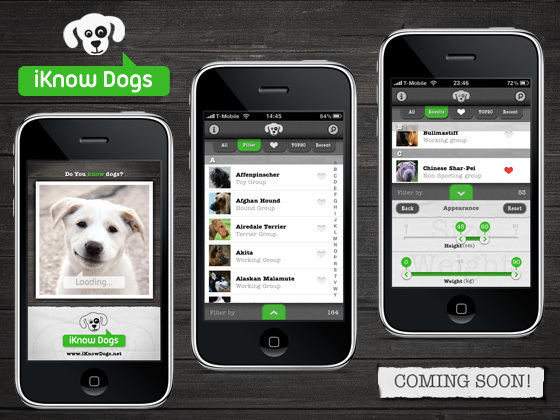 With iKnow Dogs, users can identify dogs, for example, by their look, group, temperament and origin. It includes interesting information and facts about all 164 AKC (American Kennel Club) dog breeds. Browse more than 700 pictures of dogs and puppies and find the perfect dog for you and your family! … or find the biggest, friendliest, most energetic, or any other dog that you like! 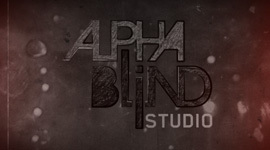 More info and images will be available very soon!